2. 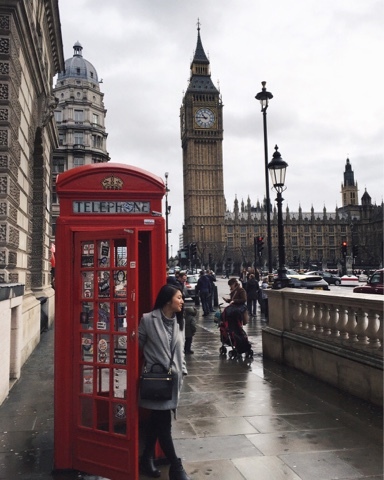 Getting the iconic London shot of Big Ben and a classic phone booth. 3. 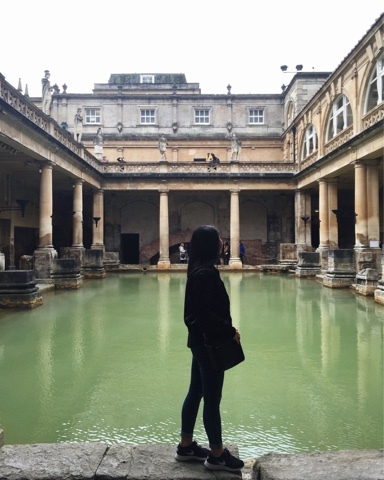 Taking a historical tour of the ancient Roman baths in Bath. 4. 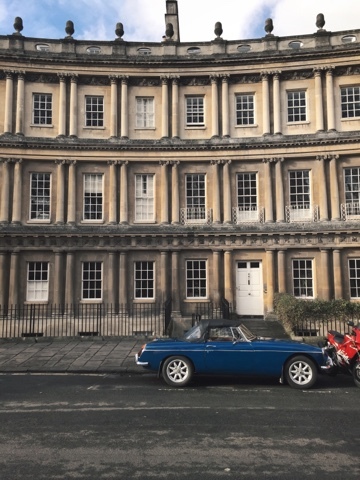 Happening upon the cutest car outside the beautiful homes of Bath's Circus. 5. 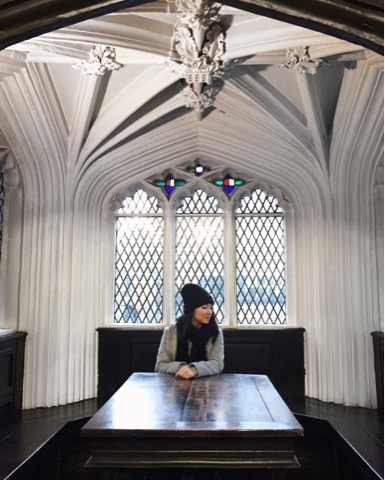 Sitting in the oldest public library in England, Chetham's Library. 6. Spending the last few minutes of daylight in Manchester discovering the street art of the city's Northern Quarter. Stay tuned for more updates! While I do not have my laptop on this trip, I will try my best to keep Looks by Lau up and running. I'll be back soon! omg, I'm so jealous right now! I wish I could visit! These photos are so amazing, just like how I see it on TV and in magazines! Have a great time while youre there! Thank you Lily! England really was amazing. These pictures are stunning! Looks like you are having a fabulous time, safe travels! How fun! Great pictures. Theres so much to see and do in the UK. I love Manchester. Never been to England! Have fun babe! Can't wait to see more pictures! such cool photos! England looks fab! Very cool pictures, and looks like you're having an awesome time! omg!!!! gorgeous pictures!!! :D keep them coming! That photo with big ben is pretty cool. 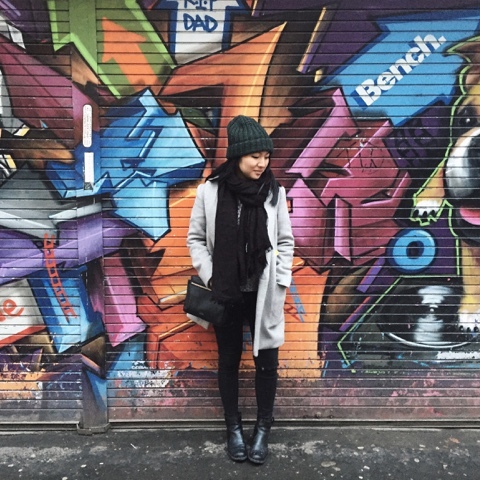 I love the OOTD shot on that colorful graffiti too. I love England! Gorgeous photos! The photos are amazing! London sure will be a blast for you. 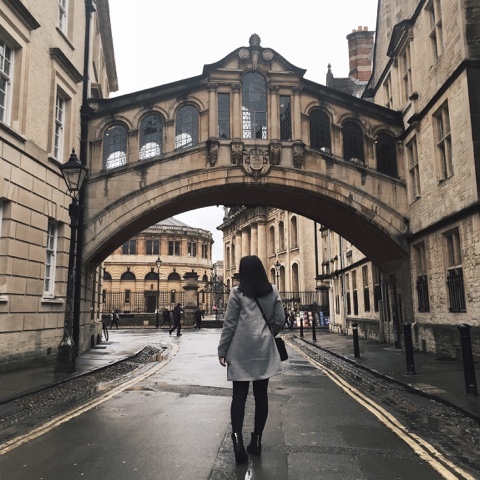 Your pictures of your London trip look amazing! Looks like so much fun! I have been to London once and would love to go back! This My favourite Country Nice blog!